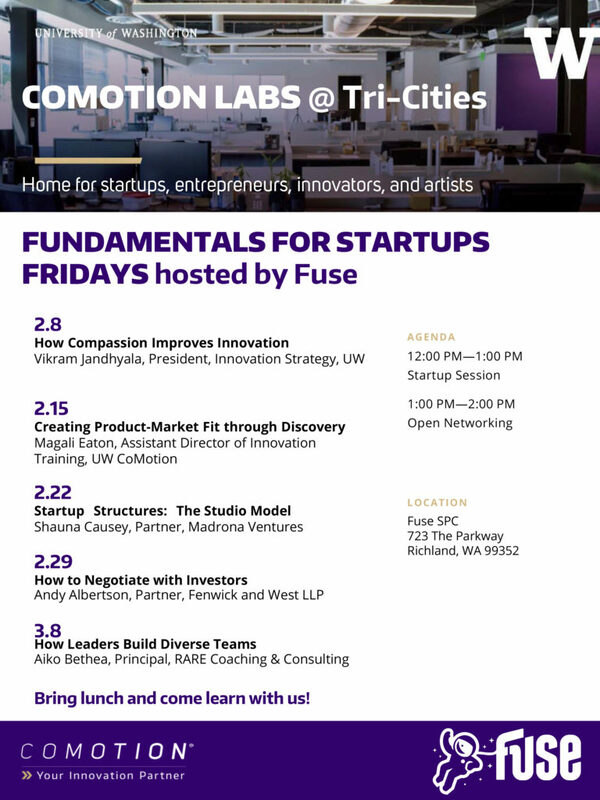 Every Friday at lunch, from 12:00–1:00, Fuse will live-stream CoMotion from the University of Washington. 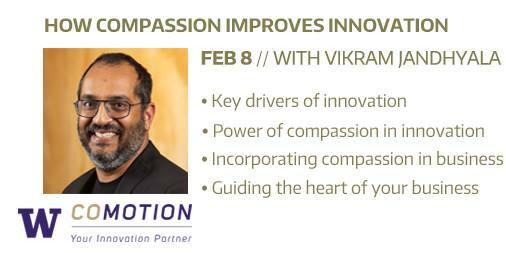 Tomorrow will be a talk from Vikram Jandhyala, VP for Innovation Strategy at University of Washington, about how compassion improves innovation! Friday Fundamentals are free and open to the public!